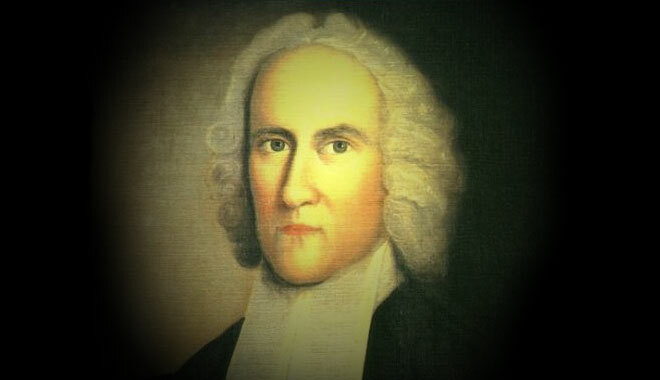 A week or two ago I finally got down to reading Jonathan Edwards’ Freedom of the Will, of 1754, which I downloaded a while ago when the discussion on the blog drifted from “nature’s autonomy” to “free will”. These discussions have a tendency to do that, and Edwards seems to confirm my previous view that this is almost inevitable, given the theological roots of both. I won’t fully review the book, as I’ve not finished it. But I can recommend it as a carefully argued case for the Reformed view of free will and against the Arminian. That argument is not against Arminianism because it is Arminian, but against the very specific philosophical/metaphysical concept of “free will” which that movement embraced. I find that Edwards observes many of the same consequences to arise naturally, if not inevitably, from it that I do, and that includes a view of God’s nature that would seem to predispose to Open Theism. I’ve had some disagreements with friends here regarding my impression that Arminian teaching contains the seeds of Open Theism when pursued rigorously enough: the weakness is inherent rather than adventitious. I’ve no wish either to disagree unnecessarily nor create dissension, but ideas need to be examined even when they’ve been argued hammer and tongs for centuries, because sometimes implications only become clear late. Edwards makes a better case in favour of that inherent weakness than I ever could, even though he made it two and a half centuries before Open Theism actually arose… the theory makes predictions! What has been said may be sufficient to show what is meant by Liberty, according to the common notions of mankind, and in the usual and primary acceptation of the word: but the word, as used by Arminians, Pelagians, and others, who oppose the Calvinists, has an entirely different signification.— These several things belong to their notion of Liberty. 1. That it consists in a self-determining power in the Will, or a certain sovereignty the Will has over itself, and its own acts, whereby it determines its own volitions; so as not to be dependent, in its determinations, on any cause without itself, nor determined by any thing prior to its own acts. 2. Indifference belongs to Liberty in their notion of it, or that the mind, previous to the act of volition, be in equilibrio. 3. Contingence is another thing that belongs and is essential to it; not in the common acceptation of the word, as that has been already explained [as being unexpected or unexplained by people], but as opposed to all necessity, or any fixed and certain connexion with some previous ground or reason of its existence. They suppose the essence of Liberty so much to consist in these things, that unless the will of man be free in this sense, he has no real freedom, how much soever, he may be at Liberty to act according to his will. Perhaps there is enough there to spot some common themes from the debate not only about Open Theism, but the “open process” view of theistic evolution against which I have written so much on The Hump already these several years. The first theme is the “self-determination” of the will, ie that our wills must be completely autonomous of any external determining influences whatsoever – even, for example, the perceptions and deliberations of our reason – to be truly free. In other words the will itself – not just the person who possesses it – is autonomous. Edwards points out that what this inevitably means is that whatever the will chooses is determined only by another free choice (= self-determination), which must in turn be determined only by another, creating an infinite regress of otherwise inexplicable free choices. The second idea, of the will in equilibrium, belongs to this of necessity (even in current discussions), for this concept of liberty, if it cannot have truck with the influence of outside derminants, certainly cannot cope with the idea of the will’s being biased, especially towards evil because of sin. Even so, it is actually hard to envisage how a will entirely independent of outside influences could remain permanently in fine balance on all questions: do trains of previous decisions not affect it even minutely? There is a great noise made about self-determining power, as the source of all free acts of the Will: but when the matter comes to be explained, the meaning is, that no power at all is the source of these acts, neither self-determining power, nor any other, but they arise from nothing; no cause, no power, no influence, being at all concerned in the matter. This argument is every bit as applicable to the supposed virtues of “contingency” (understanding this as being contingent to God as well as creation) in allowing such things as “spontaneity” and “freedom” in nature, leading to innovation (as distinguished from the “stultifying” results that would arise from God’s deliberate design according to his own will). If even the autonomy of the rational creature’s “free will” boils down to mere contingency – a contingency that is as destructive of true freedom as coercion would be – then how much more meaningless if these things are applied to irrational nature? The English word spontaneous was first coined round 1650 from the Latin word meaning “freely chosen.” If “freely chosen” simply means “without any determining cause” (as it must when separated from human choice in nature, or when wedded to a view of human choice demanding self-determination, as those whom Edwards critiques claim), then “spontaneous” is just a synonym for “chaotic” – the very antithesis of creation. Just to focus for a moment on “spontaneous” as a biological/theological buzzword, consider what we mean by it in practice. The sun is shining, and I “spontaneously” decide to shelve work and take the kids to the beach – and a great time is had by all. In fact, though, that decision is necessarily based on a very rational knowledge of the gains to be gained by a day out, and the cost in terms of lost work (my spontaneity would be instantly quelled if the “work” I had planned was saving a life in danger). In other words, the “spontaneous” choice is actually a deliberation determined, albeit more through Polyanyi-style “personal knowledge” than a flow chart or calculation, by my perception of what constitutes the greatest good at that moment. Molecules can’t do that, with or without indeterministic quantum events going on. Nature cannot be spontaneous, by its nature. But can nature be “indeterminate” on the basis of “autonomy” from God? Just one more point from Edwards will address that. One of his arguments against the supposed incompatibility of “free” and “determined” is on the common ground between Arminians and Calvinists of God’s infallible foresight. If God has foreknowledge that I will choose A over B, he says, then that choice has become just as determined as if it were a decision made in the past. Is it any less free for that divine knowledge that it will infallibly happen? Most “classical Arminians” would say no.A few might quibble that God’s foreknowledge might change according to our free choices – but that is simply incoherent. “Infallible foreknowledge” is just not “best guess at the time”. But Edwards points out that, logically, an event is no less determined by such foreknowledge than it would be by an active decree of God that it should happen. So freedom from “determination”, as such, cannot be an absolute requisite for human will to operate. It’s harder than one would think to find another solid ground than “determinacy” for making “foreknowledge” compatible with free-will but “divine decree” incompatible with it. Those propounding Open Theism evidently conclude that, rather than resolve this by accepting that free-will and God’s determination are, indeed, compatible (as, for example, is inherent in the classical idea of concurrentism) go for the alternative of denying that even foreknowledge and free-will can coexist. That conclusion seems to have been reached by a few in Edwards’ day, too, and he had to argue against those who said that God does not, in fact, know the future, although they seem to have been a far tinier and less accommodated minority than the Open Theists of these times. Clearly their view more or less disappeared as “unorthodox” until it was revived in Evangelical clothing in these times. Like their modern equivalents, these people said that for God to foresee the free choices of moral agents would destroy their autonomy, and that therefore one must conclude that God exists in time like us, and that the future, being dependent on future “contingent” choices, cannot be known even by God, and is open. God can only know the future probablistically by deduction, just as the Open Theists suggest today. Plus ça change, plus le même chose. One of the arguments Edwards uses to refute this proto-Open Theism is to cite a large number of Scriptural prophecies whose fulfilment depended not only on a free human choice, but on an uninterrupted sequence of such choices over centuries or millennia. Similarly God’s frequent promises depend on such long sequences of moral choices (I wrote about this some 17 years ago). The huge problem this is for theology can be indicated by referring to a parallel in science-fiction, Isaac Asimov’s Foundation trilogy. In this, the underlying conceit is that a future scientist, Hari Seldon, has managed to reduce history to a deterministic science by the discipline known as “psycho-history.” This in itself is a very Laplacian idea for a biochemist like Asimov, aware of quantum indeterminacy, but leave that aside. But in the story the detailed plan Seldon has formulated to save galactic civilisation from anarchy goes badly off the rails some centuries later through the emergence of a mutant rebel leader called “The Mule”, who has psychic powers not determined by the rules of psycho-history. In Open Theism and its eighteenth century predecessor, of course, the Arminian view of complete indeterminancy of the will is its very raison d’être: each and every person is like Asimov’s mutant loose cannon. Not only is the future open – it is radically so. God can no more foresee the future, even a year ahead, than any of us can successfully predict history. Edwards, though, takes a further step that has relevance to our problems with Open Theism and its variants in theistic evolutionary thinking. For Edwards points out that, in the economy of Christ as the firstborn of a humanity made in his image to rule creation, even the events of the natural world are, to a large extent, subject to the moral decisions of men. The judgement, for example, when the cosmos itself will be re-formed, depends in its timing on the evangelisation of the world, the apostasy of many, the decisions of the Antichrist and so on. Jesus said that only the Father knows when that hour will be – in the Open Theism scheme, he was being considerably over-generous to God’s ability to predict entirely contingent events. Because God is concerned, in his deliberations, with infinitely more human decisions than any of us will ever encounter, it follows that of all beings, God must be the most prone of all to disappointment and revision of his plans (rather than the unchangeably blessed and happy God who works everything out according to his unchangeable purpose in Christ). He is the only one whose will is not free, being constantly driven to ad hoc remedies for arbitrary human decisions, if he is to govern the world wisely. To close, this central characteristic of the God of Open Theism – his supreme mutability – does at least explain why there are thought to be so many evils within the natural world. Not only does the extension of “autonomy” to nature make for a whole new realm of “liberty” and “spontaneity” which belongs to it by right of free-process, but even God, hailed by Open Theists as the “master responder” to every situation, is neverthless doomed to be also the master of unintended consequences. How can he plan ahead when so much is purely contingent? And that’s odd, given that the same theistic evolutionists who are symptathetic to Open Theism are absolutely opposed to conceding that he acts within his creation now, because “any decent God would have done it right first time.” He did it right first time, but changes his plans because of every autonomous and unpredictable decision of nature and man, yet doesn’t “interfere” in the world. It’s astonishing anything still functions at all… looks like a quick recourse to “mystery” is necessary! I suggest that, in the light of Edwards’ critique, “doing it right first time” would include a complete rejection of any concept of freedom based on autonomous self-determining wills. Jettison that concept, and things get remarkably easier.